In a more diverse advertising market that spans television, the Internet, radio, and print, it can be difficult to gauge return on investment effectively. Each of these channels has its strengths and weaknesses, but when considering ROI, it’s important to recognize the nuances of the market. 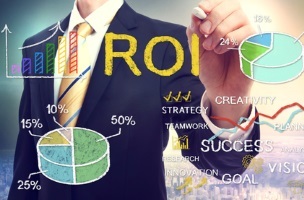 A report from AOL Platforms aims to clarify some common misconceptions about ROI metrics. One of the most important points to take into account when considering ROI is the distribution channel in question. AOL Platforms indicates that TV and radio provide some of the worst returns, primarily due to the high costs. Still, TV and radio continue to have the widest reach. Social, video and display advertising have big impacts on consumer awareness, especially when it comes to later purchases. Paid search, affiliate marketing and email provide the highest return, due to their relatively low cost, and they are likely a final touch point for consumers before conversion. However, it’s important to realize that each channel has its place, and none is better than the other. Different channels accomplish different goals, and to hold them all to the same standards would be to force an arbitrary comparison. Multitouch attribution acknowledges the differences within these mediums. Through advanced data analysis, MTA allows marketers to understand how their dollars can be best spent on which advertising channel and, depending on the platform, in real-time. Even across the same channels, ROI can vary widely in different categories and verticals. Entertainment and leisure show greatest ROI from email, but financial services see best returns through social marketing. Two brands within a field may even see very different ROI based on their product. For instance, high-fashion clothing and low-cost accessories perform better with different mixes of channel exposure. Ultimately, marketers should not obsess over an ideal ROI number, but focus on moving consumers through the marketing funnel using the most optimal media mix. Readers: What criteria do you employ when measuring ROI? Image of calculating ROI courtesy of Shutterstock.